1 Code 128-B can include almost any character on the keyboard; upper and lower case letters, numbers, and most of the symbol keys as well. 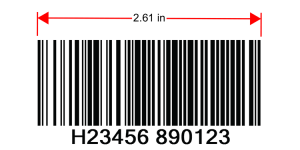 2 Code 128-C is a much more dense barcode, designed to print specific “types” of number strings in smaller spaces because it creates a smaller (less wide) barcode. You can only encode numbers, and they are done in 2-digit pairs; so you’re not really encoding 0-9, you’re actually encoding 00 – 99. 3 Code 128-A is an auto-switching format, going back and forth between subsets “B” and “C” as needed, so that you can encode almost any character, and do it in the smallest space possible. 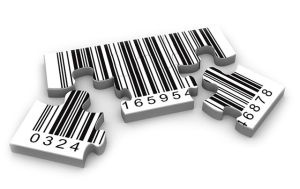 This switching is invisible to most barcode scanners that are less than about 10 years old; all of the more common scanner brands should have the ability to read the “A” auto-switching format, but older scanners may not be able to read these types of barcodes. 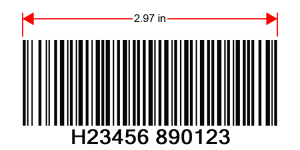 2 You could not print this SKU in Code 128-C because the H and blank space characters could not be printed; and it could not do a 13 character string because only sets of 2 numbers at a time are encoded, so all number strings must be even numbers of digits. 3 Code 128-A auto-switching would look like this on a scanner or verifier: (B)H2(C)3456(B) (C)890123 – where subset “B” is used for all letters, space characters, and anything that isn’t a set of 2-numbers at a time; and then the format switches to subset “C” whenever it will work, which is when you have sets of 2 numbers at a time. So, by using the “C” subset for part of the character string, it reduces the overall width that’s needed, because the “C” character set is encoded more densely than the “B” set. 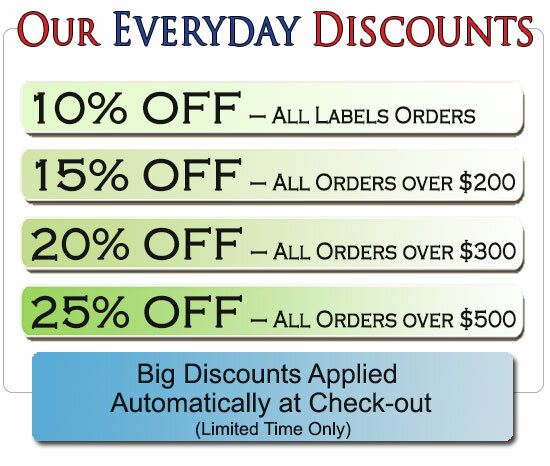 For more information on Barcodes, or Barcode formats, or to order Barcode Labels – please contact us at: info@EquipmentIDLabels.com or call us at 1-800-764-6110.